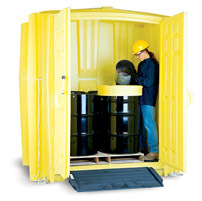 Load drums and equipment easily onto Workstations with a Multi-Purpose Work Ramp. 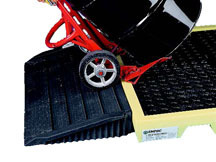 The Multi-Purpose Work Ramp makes your job easy! Load drums and equipment easily onto Workstations with a Multi-Purpose Work Ramp that hooks onto any Workstation. The Work Ramp is small enough to stay out of the way. This product is oversize and must ship with and LTL carrier.